This is the height of cool. 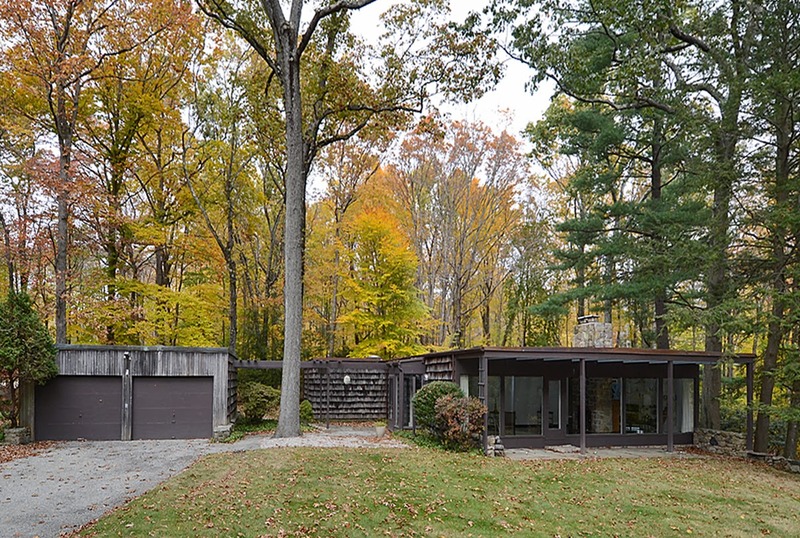 It's 1954 all over again in this vintage Mad Men style modern up on 92 Briscoe Road. The architecture is uplifting, the 6 acres therapeutic. Big windows. Lots of light. Don't you think if you lived here life would be simpler? Offered by John Engel and Susan Engel for $1.2 million. To arrange a showing call 203-247-4700. On the corner of Old Studio Road and Old Stamford Road, this hot little house has been renovated and is looking sharp. Close to the two train stations and about a block from the schools, the location alone is going to sell this house. Everybody wants to be on Old Studio Road these days in "a neighborhood" with a fenced in backyard. I can't wait for the snow to melt. We will be taking a full set of photos on Wednesday in support of Thurday advertising but because Thursday is supposed to snow we decided to put it on the market Tuesday. Want to sell this one right away. Bring me an offer!